The company, based in Chichester, was telephoning people to sell a call-blocking service and device to stop unsolicited calls. Ironically, the same type of calls the company itself was making. Cold Call Elimination Ltd is run by Leah Masters, who also ran a company by the name of Cash 4 Clothes (UK) Ltd and is a currently running GetWork2Day Ltd. 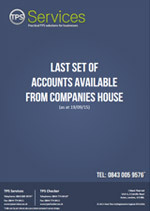 The company clearly thought it could call numbers registered on the Telephone Preference Service (TPS) and get away with it or that it was 'worth the gamble', but clearly that did not prove to be the case. Complaints were received from elderly and vulnerable customers who claimed aggressive cold callers pressured them into taking subscriptions to a service that seemed to be the equivalent of the free Telephone Preference Service (TPS). One complainant said the sales person implied they were calling from the statutory TPS. Another said money was taken from their account despite turning down the service and a bank account had to be cancelled to stop the contract. Companies are not allowed by law to call anyone registered on the Telephone Preference Service unless they have specific consent. 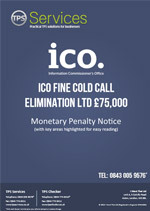 Cold Call Elimination Ltd was monitored by the ICO, giving the company a time period in which to improve, but the company ignored the warnings and continued with the calls. “This company clearly knew the law, but continued to break it by calling people on the TPS. It’s clear some of the people called by this company were very distressed by the calls and as some of the people receiving the calls were elderly or vulnerable this was an aggravating factor. 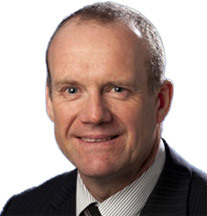 This monetary penalty has been issued to make sure that Cold Call Elimination realise that it is unacceptable to operate in this way.It should also be a warning to other companies that we will act if companies are found to be breaking the law."